This is to inform all the candidates that participated in the Federal Polytechnic, Ado-Ekiti (FEDPOLYADO) 2018/2019 academic session Post-UTME screening exercise, that the management of the institution has released the admission list. Federal Polytechnic Ado-Ekiti ND admission list contains the names of candidates offered provisional admission into the polytechnic’s various National Diploma (ND) full-time programmes. Check Federal Poly Ado-Ekiti Admission List. The admission list is only available on JAMB portal for now and would be available later in the week on the school portal. 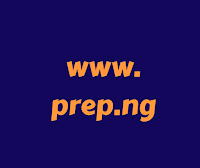 Finally, click on ‘Check Admission Status‘ to access your Federal Polytechnic, Ado-Ekiti admission status.